Injecting a much needed zest of fresh awesomeness into the manga marketplace comes this visionary title, Biomega. It’s set in the future after a devastating virus, called N5S, has swept across the Earth, turning most of the population into vicious zombie-mutants. So far, so standard, you may think. 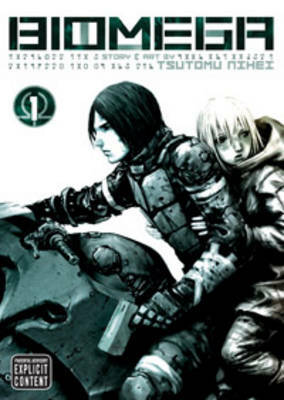 But it’s Nihei’s art and story that grip. Volume One is quite straightforward and lean in its plotting, but as we get further in, things start to get a tad surreal. I’m up to the fourth book and it is starting to get a bit out there, to the point where I’ve had to re-read the last couple of volumes to see if I’ve missed any crucial plot points. I don’t think I have; Biomega is just plain daft in parts. I can’t deny it though – Tsutomu Nihei has created a modern masterpiece with Biomega. His art is stunning and dynamic (easily the best manga art I think I have quite possibly ever seen) but it’s his bleak vision of a future bereft of hope that seals the deal.